Where are my Ghanaian friends on Entclass Blog? Dust and sharpen your MTN sim for this new awoof data. 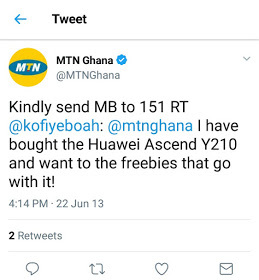 MTN Ghana is currently rewarding all MTN subscribers data worth of 50GB which will be renewed automatically every month until 6 Months. Interesting right? 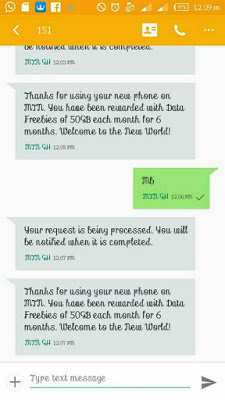 How i wish MTN extends this to us here in Nigeria. Meanwhile, MTN double data cheat is still working without changing of imei. I pray this tweak comes to Nigeria soon. Thanks for coming up with this awesome update. 50gb is not big as we always say in Nigeria but to some of us, we can exhaust that withing a day.